Angela Hascom is not the first to argue that we’ve gone too far in bringing our children indoors, setting them up with tablets and screens, and shuttling them to organized activity after organized activity. What she is the first to do, as far as I can tell, is directly link the modern epidemic of attention disorders and sensory processing issues to a childhood walled off from nature - and offer guidance to educators and parents who want to support healthy development of the whole child. 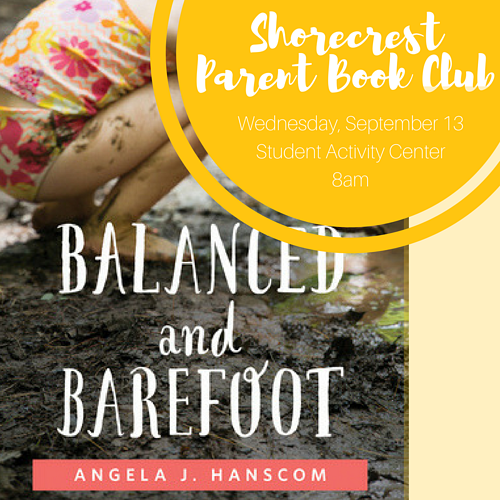 I hope that Shorecrest families reading this will read the book and attend our Breakfast Book Club on September 13 at 8:00am. For those of you who cannot attend, though, I would like to share three of my key takeaways on this month's read, "Balanced and Barefoot: How Unrestricted Outdoor Play Makes for Strong, Confident, and Capable Children." I hope they will inspire you to learn more. I’m willing to bet that your child’s favorite playground is quite different from the one where you played as a child. Cushioned flooring, perhaps, and probably a lot more plastic. And where did the teeter-totter go? Hascom points out that, while we have tried to make playgrounds safer, there has actually been a “steady increase in the number of playground injuries since the early 1980s.” She argues that limiting risk actually makes children more unsafe. Another advocate for free outdoor play, blogger “Teacher Tom,” claims that injuries prevented in childhood are simply pushed off into the future, and that “bloody owies” are critical to a child’s learning process, making her safer as an adult, when our bodies become more rigid and less able to heal from injuries. Hanscom cites the hygiene hypothesis, which suggests that extremely clean and sanitized environments can impede the development of our immune systems. Without exposure to germs, the immune system cannot develop the antibodies to fight them. Going barefoot out in nature, digging in mud with bare hands, and other such activities support our immune systems and those of our children. Going barefoot is especially important for healthy development - dispensing with shoes supports sensory integration and provides a strong foundation for good balance. “Letting children play outdoors, away from the hustle and bustle of everyday life, provides respite. It gives them a break from the constant routine, the Hurry Up, we are going to be late requests; bright colors; noxious smells; and noise and commotion that the man-made world has created.” Children need to recharge as much as we do. Nature stimuli are calming to children - the sounds, the smells, the muted colors. Being outdoors, even on a patch of grass, allows the human mind to rest. And ask any parent - a well-rested child is a calm and happy one. 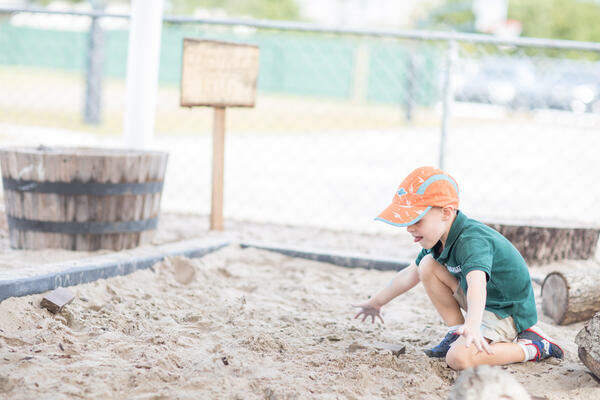 At Shorecrest, enjoying the outdoors, both during structured time and free play, is in our DNA. Shorecrest began as the Shorecrest Outdoor School in 1923 and has continued the tradition of loving nature and learning in it and from it for nearly a century. Our Experiential School has the only Nature Explore certified Outdoor Classroom in the region, and our outdoor learning spaces are planned, plentiful, and put to regular use by our students in preschool through 12th grade.